The discography of DragonForce, an English power metal band, currently consists of one demo album, four studio albums and four singles. 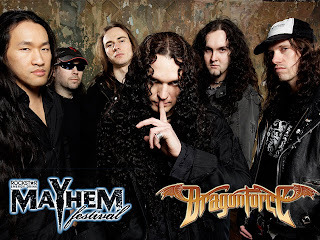 DragonForce formed in London, England in 1999, under the name of "DragonHeart", and released their first and only demo, Valley of the Damned, independently in 2000. This earned them a record deal with Noise Records with whom they released their début studio album Valley of the Damned in 2003, after renaming to "DragonForce", and their second studio album Sonic Firestorm in 2004 followed by their first single "Fury of the Storm" in 2005. 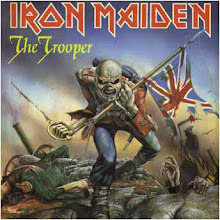 They then signed to Roadrunner Records and released their first charting album and single, Inhuman Rampage and "Through the Fire and Flames", in 2006 followed by "Operation Ground and Pound" later that year. Their remixed and remastered version of Valley of the Damned was set for release in October 2007, but has since been postponed while their fourth studio album Ultra Beatdown and its preceding single, "Heroes of Our Time", were released on 25 August 2008 and 4 July 2008 respectively.